One section dismantling takes approximately one hour. In total, there are 120 of such sections. 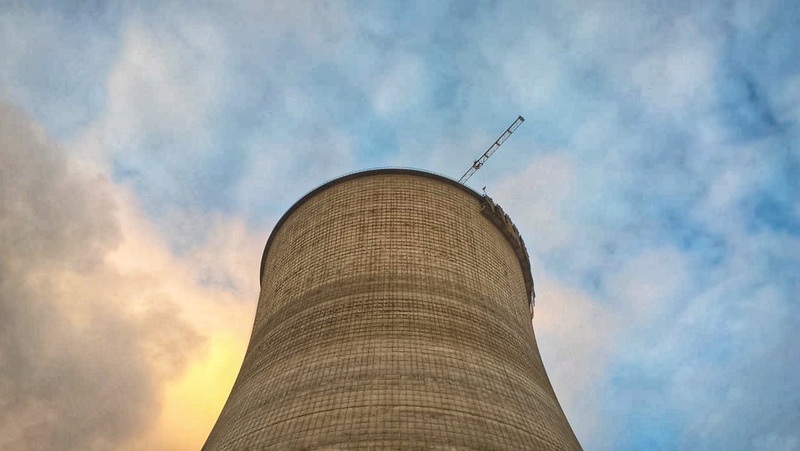 During the activity, six people work on the upper tier of the cooling tower. The slings operator with the assistant receives the cargo at the foot of the tower. Then the formwork elements are removed to the base, stored, and arranged for further use. At present, the main scope of works for the JSC CONCERN TITAN-2 specialists will be relocated inside the cooling tower. Builders will assemble and install here over two hundred reinforced concrete columns of the water cooling system. During the warm season, the cooling tower will be painted.